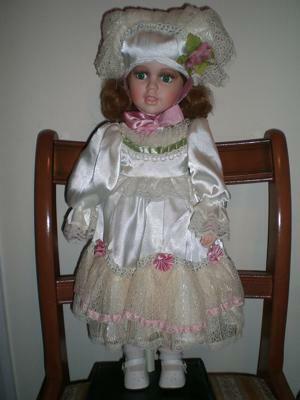 I Inherited this doll. I think it is bisque, with lower arms, legs and head inserted into a cloth covered stuffed body. It is approx 56cm high. If anyone can offer any advice I would be most grateful.